Eric signed for the Blues on loan in the January transfer window on a short term deal until the summer when it is expected he will put pen to paper on a long term deal. He is a 16 year old from Cheltenham who is the first Englishman to play for Sporting Lisbon. Born in England, Eric moved to Portugal in 2003 at the age of 8. He captained the club at U15 level and progressed to become a regular in the U17 side whilst also turning out for the U19s – a sign of his enhanced development. Under the mentorship of the iconic Paulo Cardoso (the man who scouted Ronaldo and Nani for Sporting) Dier had been expected to break through into the Sporting first team setup next season. Standing at 6 feet 2 inches, he has the make up to be a commanding centre half and his coaching at Lisbon’s academy is such that the ball playing aspect of his play has been greatly nurtured. Dier is a cultured centre back whose style has been cultivated by the marriage of contrasting football cultures . Dier has a tidy athletic pedigree: his grandfather Ted Croker (former Secretary of the English FA) and great uncle Peter both played professionally for Charlton Athletic whilst his dad was a pro tennis player. Shkodran moved to Everton in the summer of 2009 from HSV in Germany. He is a tall, commanding centre half of Muslim Albanian descent and has more than a passing resemblance to former Chelsea and Germany centre back Roberth Huth. He made the move from Germany to England at the age of just 17, and his transfer was seen as something of a coup for David Moyes. Mustafi’s performances for Germany’s Under-17s side had seen him listed as one of his country’s most promising talents and the Toffees swooped to prise him away from the Bundesliga, with the player reportedly impressed by Moyes’ willingness to give youth a chance. Mustafi signed a three-year deal on Merseyside, Everton paying no transfer fee for the German. Shkodran began as a striker before finding his niche at centre-half. He has worked mainly with the reserves in 2009/10 but made a handful of appearances on the subs’ bench – emerging for a short debut in the game against BATE Borisov in December before coming off injured. Hallam Hope is a youth team striker with a very impressive goalscoring record in his early career. Hallam joined the Blues as an 11 year old in 2005, making the short switch down the M62 from Wythenshawe, having previously turned out for Manchester City’s junior side. The striker scored a treble in the Milk Cup Junior Final in 2008 against Watford to announce himself at the club. 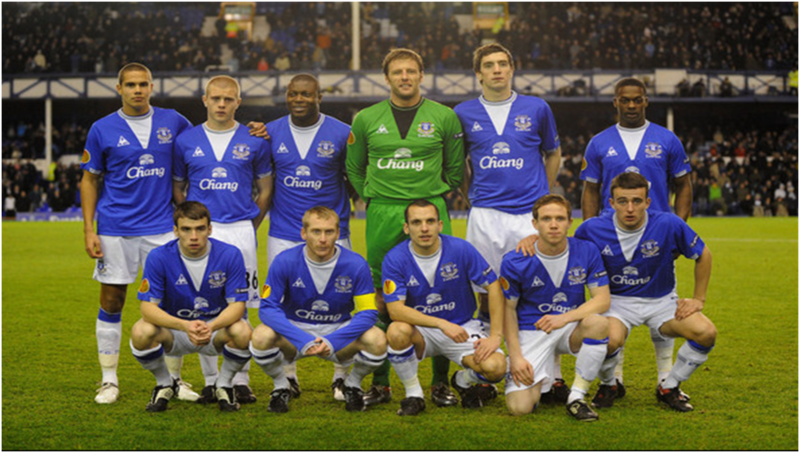 Since then he has featured regularly for the Under-18s and was part of the Toffees’ 2010 FA Youth Cup squad. Hope signed a full-time scholarship with the Blues in July 2010, and was an integral part of the Under-16s set-up during the 2009/10 campaign. Hallam made his first international appearance for England against Wales in the Victory Shield in October 2009, going on to score twice for his country in the Young Lions’ 3-1 win over Ukraine in France. Since steeping up to England U17’s he has registered 7 goals in 7 appearances. Although he has represented England at international level, Hallam is also eligible to represent Trinidad & Tobago and Barbados. His key strengths lie in his pace and fearsome right foot. His limitations would be aerially and with his left foot. This season has been a productive one for Hope; he is the youth team’s top scorer with 10 goals and is in the running for the player of the season gong. He has just turned 17 and looks a real prospect for the future. The next steps for him would be to make the move up the reserves squad. Currently recovering from a double leg break, Barkley is a player who many believe will become the next big star to emerge from the Blue’s youth ranks. Internationally, he shot to fame by scoring against Northern Ireland in the Under-16s Victory Shield game in October 2008 when he was still just 14. Capped for the England Under-17s, the Wavertree born player is primarily a box-to-box midfielder. He is the epitome of the modern day player being comfortable in numerous positions, indeed he played as a forward in Everton’s FA Youth Cup team. Barkley is a big, imposing player whose very versatility would make him even more valuable at a club like ours. I would be confident that Barkley will make the first team squad within 6 months of his return from injury. He is a superb passer, is strong in the tackle and carries a powerful shot. Luke Garbutt joined Everton from Leeds United in a controversial deal in the summer of 2009, much to the annoyance of the consistently irritating Ken Bates. He is a self confident lad with a good football brain and impressive reading of in play situations. He is comfortable on the ball and as such can play in midfield as well as defence. Similarly to Rodwell, he perhaps needs to develop the defensive side of his game a bit more before stepping up to the senior squad. He has been predominantly deployed as a left-sided defender since signing on as a scholar with the Blues. Highly-rated and incredibly versatile ( Garbutt can play left-back, central defence or in midfield) he has been a great addition to the Blues academy squad and has progressed to play in Alan Stubbs reserve team this year. 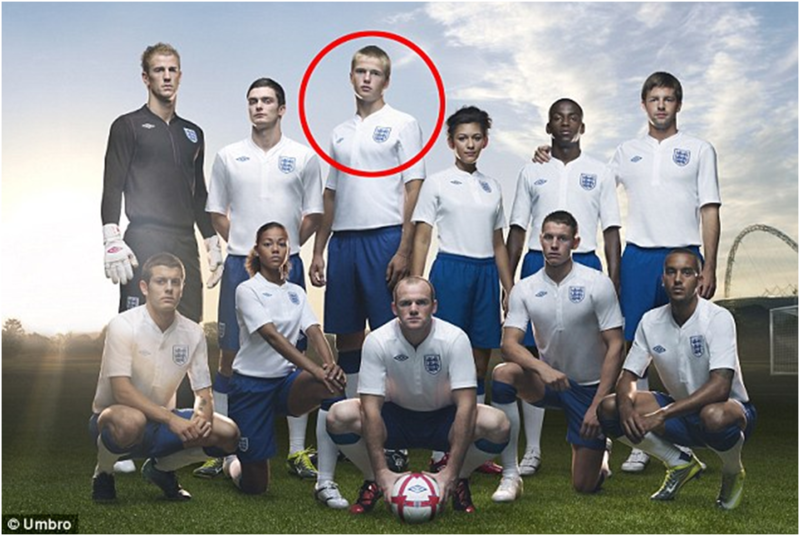 Internationally, he’s already played for England ‘s Under-16s and Under-17s, scoring for the latter side.. Earlier this year Garbutt made his debut for the England Under-19s, featuring as a substitute in the 1-0 defeat to Germany.